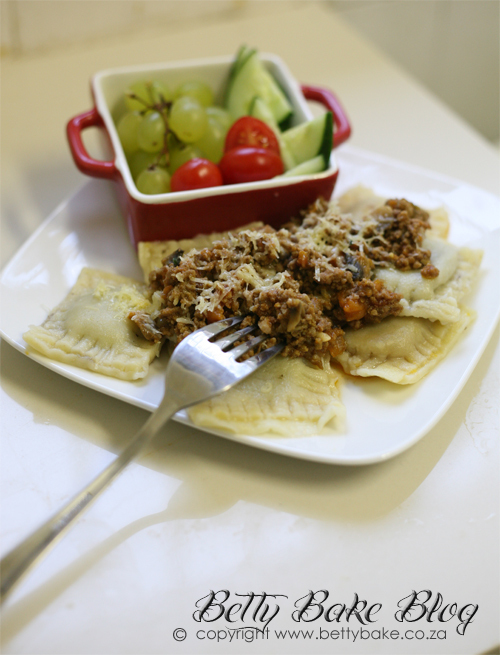 I found this really nice recipe for gluten free pasta/ravioli on Gluten Free Girl & The Chef. I made it quite a long time ago and made up my own filling for the little ravioli pockets. And even though it been a long time since I made them my daughter has been asking for it again. I need to make them again soon. They do take a little work and time to make - but its sooo worth it! I did a roast butternut filling and in others I did a tomato mince filling. Add salt, oil and eggs. Mix until you have a dough. Then place on a lightly floured surface. Place the dough in a bowl and cover. Place in a medium to large oven roasting dish. Take 1 clove of garlic with the skin on and crush under a knife or heavy object to just break the skin so flavors can release. Place in the middle of the butternut tray. Take your ingredients and place in a food processor/blender and blitz until smooth adding a tablespoon of cream at a time. You want a consistency of mashed banana or heavy cream (not to runny). If you don't have a blender you can mash butternut with a potato masher or a fork but you won't get as smooth a filling. If you have a pasta machine put the dough through it a few times and then cut into squares. If you don't have a pasta machine - not to worry. Just roll out the dough with your rolling pin until nice and thin and then cut into squares. You can decide if your want small, medium or large ravioli - just make sure your squares that you place on top of each other are the same size. I made ours roughly 5 cm x 5cm. Once you have decided on the size of your squares and cut them up. Place a spoonful of the butternut filling in the middle and dab water all along the edge and then place another square on top to seal. I then used a fork to press down lightly on long the edge to make sure they were well sealed. (not sure if this is necessary) I also liked the pattern. Put water in a pot and bring to a rolling boil and then place a few in at a time. Once they rise to the top take out and place on a plate with season with salt, pepper and a little sprinkled cheese if desired or a nice sauce - like a cheese sauce or whatever you fancy. I think if would go well with a cream cheese and bacon crumbled on top. You can see I served it with a mince sauce in the pic above. Use this recipe minus the spaghetti for the mince sauce. So Indian food. Which Simply translates in my brain to curry! I know Indian food is so many more things than just curry but I can safely say curry is the first thing that comes to my mind. (Im sure Im not the only one.) 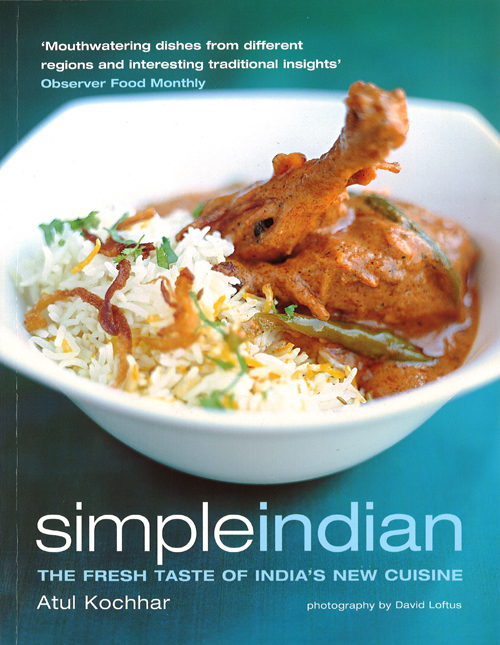 So this cookbook arrived to change my mind - that Indian is so much more than just curry. Just listen to these recipes: Crab Salad with coconut and curry leaves, or Kashmiri apple pudding, or Baked yoghurt with figs in syrup... YUM! So while I'm off trying these delicious goodies and cooking my way through this book. I have 2 copies to give away. For those of you who remember when I did the READY,STEADY, COOK at The Earthfair Market in Tokai a while back... OK quite a while back. Well I had so much fun and chef Ian and I won (YAY!) 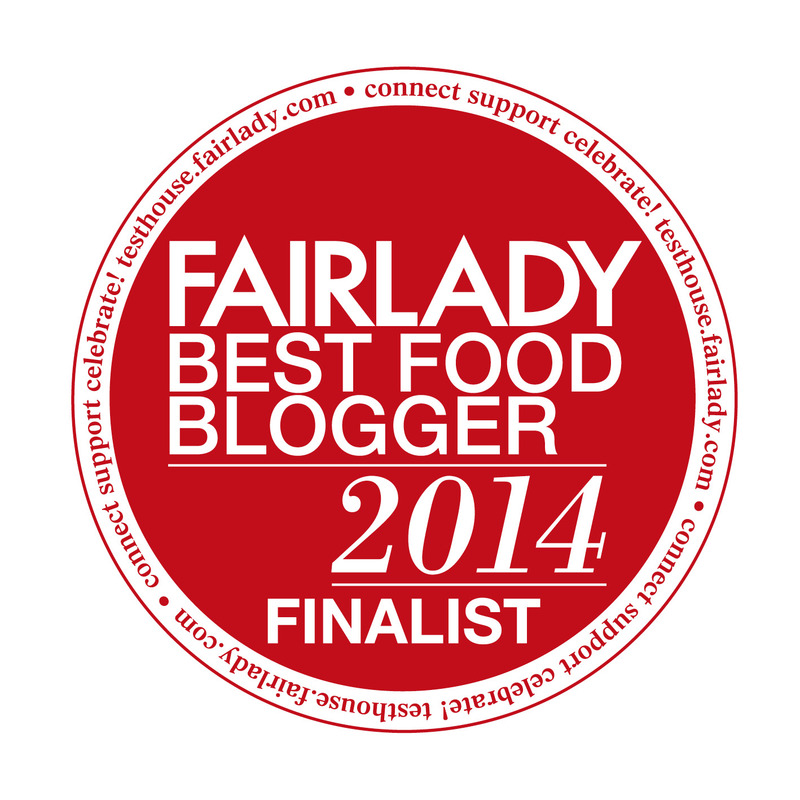 Here are the winning recipes so you can make the delicious food at home. 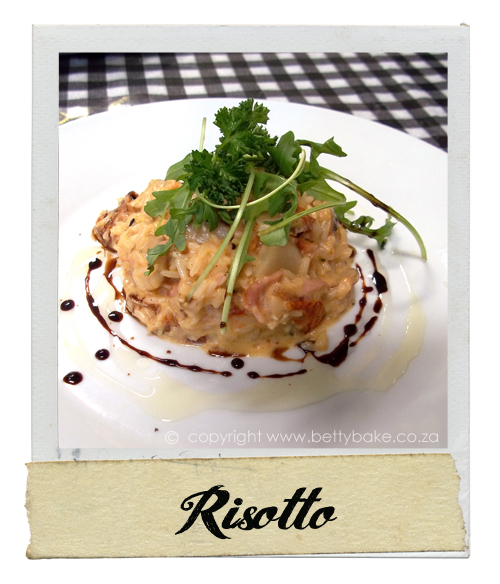 I remember it being really delicious and have made the Risotto several times since then - so you should really try it! 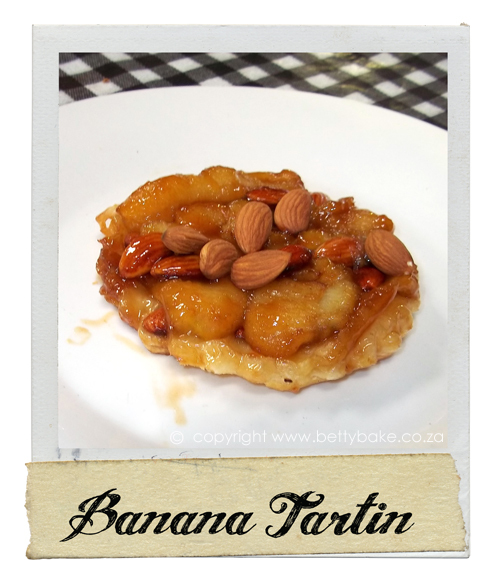 I know the Banana Tartin isn't wheat free but you could always leave off the pastry. These recipes are compliments of chef Ian Cawkwell - Thanks Ian. In a pan sweat off the onion's, garlic and peeled Jerusalem artichoke. Chop and add the bacon and continue till cooked. 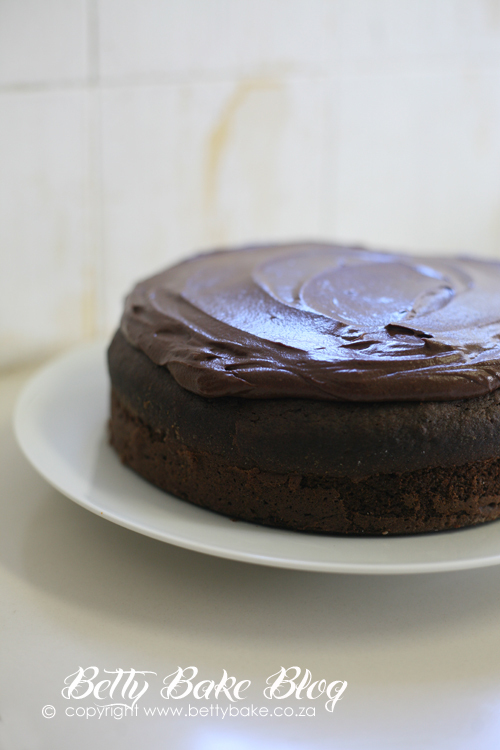 Being Gluten-Free doesn't mean you can't make yourself a delicious cake like this... you just need to know how. Living gluten-free can be quite a big adjustment at first, especially if you eat a lot of baked goods and pastas. I decided to write this post because sometimes I get emails or tweets from people asking what to change in their diets to become gluten-free. So here is what I did and maybe it will make the transition easier for you to. Start with your basic shop: Go to the store and select fruit, veg and salads that you like. Buy as much as you think you will need for your week (I shop weekly so I have fresh fruit and veg and salad). Buy things that you like - no use buying veg or fruit that you hate - cause then you just torturing yourself and you won't want to make the change to gluten-free.Make sure you skip the bread and bakery section!!! Now buy your meat (chicken, fish, lamb, beef or pork) and dairy (milk, yoghurt,cheese, cream etc). Look at the veggies you have in your basket and think can I make a veggie bake? take your favorite vegetables, peel, chop and add some cream or a cheese sauce and top with a little cheese and bake in the oven. If you can't have dairy think roasted vegetables with olive oil,rosemary, salt and garlic. Add some salad and meat and you have a meal. For variety try different vegetable and salad combinations. In summer you can eat more salads and add fruit to them too. Think Pear with walnuts and lettuce and a nice salad dressing. And in winter you can eat more baked and steamed vegetables. Lunches: When it comes to lunch boxes - swop out your bread for rice cakes, corn thins, and 100% rye biscuits (be aware rye has a teeny tiny bit of gluten in it). In winter think soup. In summer fruit and yoghurt. Pasta: You can replace the regular wheat kind for a 100% rice pasta or corn pasta Be sure to use straight away after boiling. And the pasta strands tend to brake up when reheated. but that doesn't mean you can't have your favorite mac and cheese.. just swop out your usual pasta for the corn or rice based pasta and make the usual way. 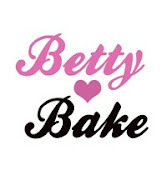 Baking: I know you want chocolate cake - who doesn't? 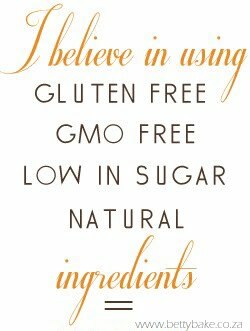 And more than likely you won't be able to just buy cake or bread at the store that is gluten free.But you certainly can make whatever you like with gluten-free flour. 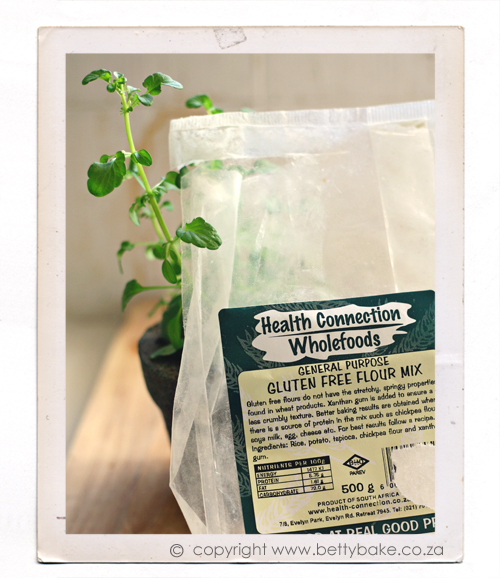 When baking I use these 2 gluten-free flour mixes. Ingredients: rice, potato, tapioca, chickpea flour and Xanthan gum. I prefer the health connection flour for things like pizza bases and bread-related type things. 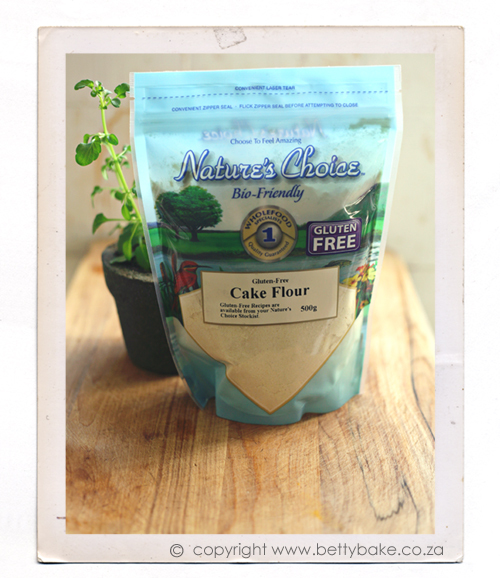 I prefer the nature's choice flour for cupcakes,cakes, general baking and light things like pancakes. Don't be afraid to try different products. Be sure to read the labels and make sure you can have the ingredients that are contained in the product you are buying. If you are gluten-free what products do you prefer using? Best of luck! You can totally do it!